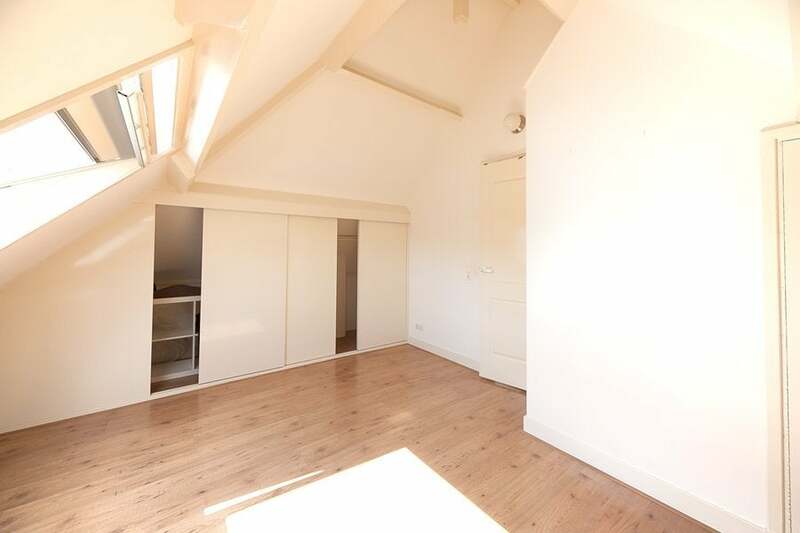 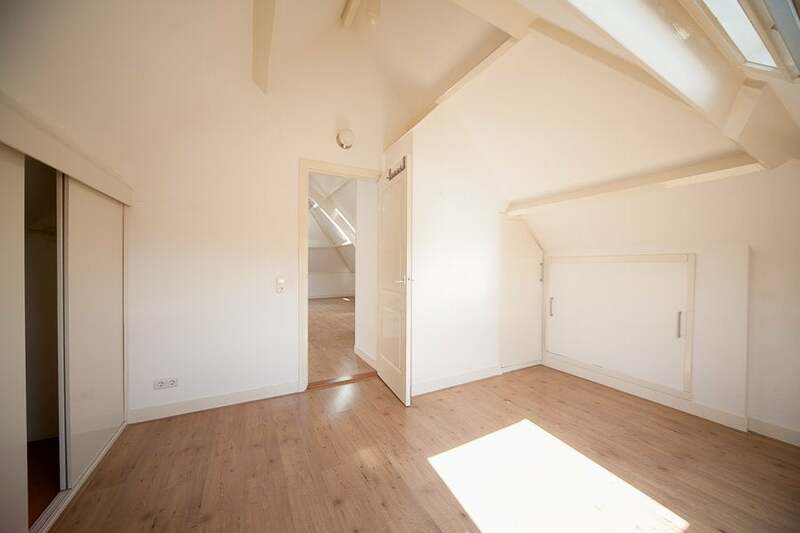 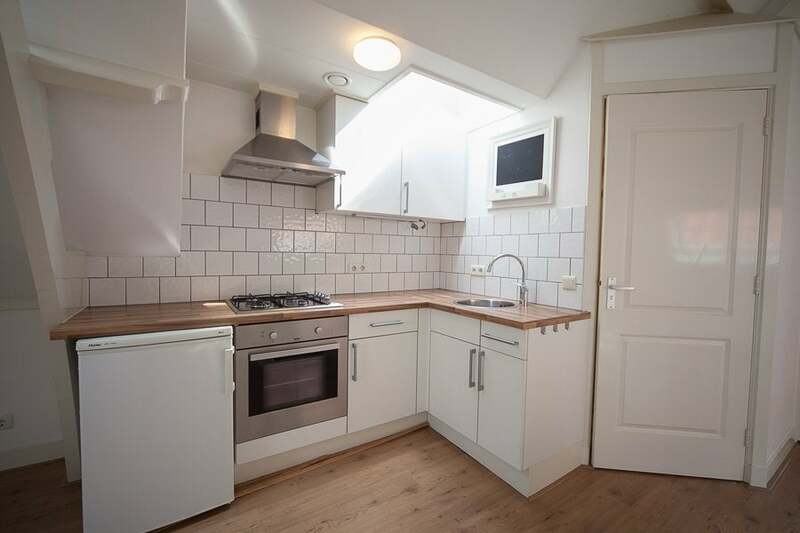 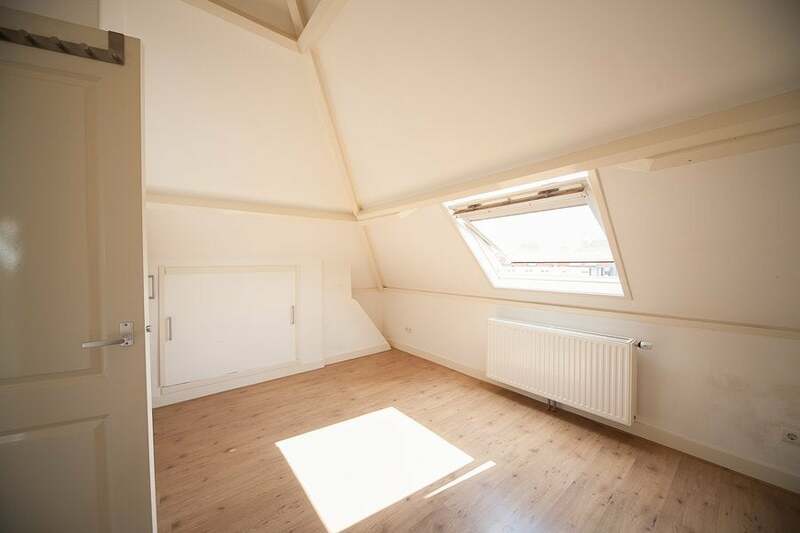 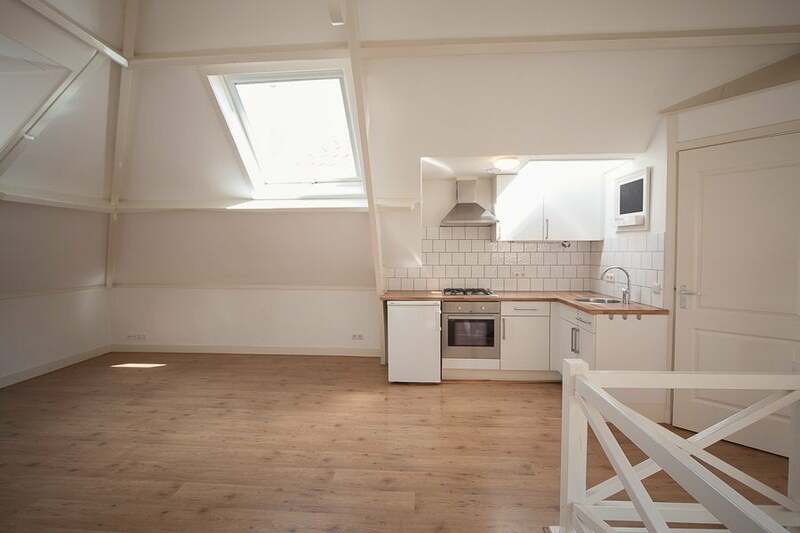 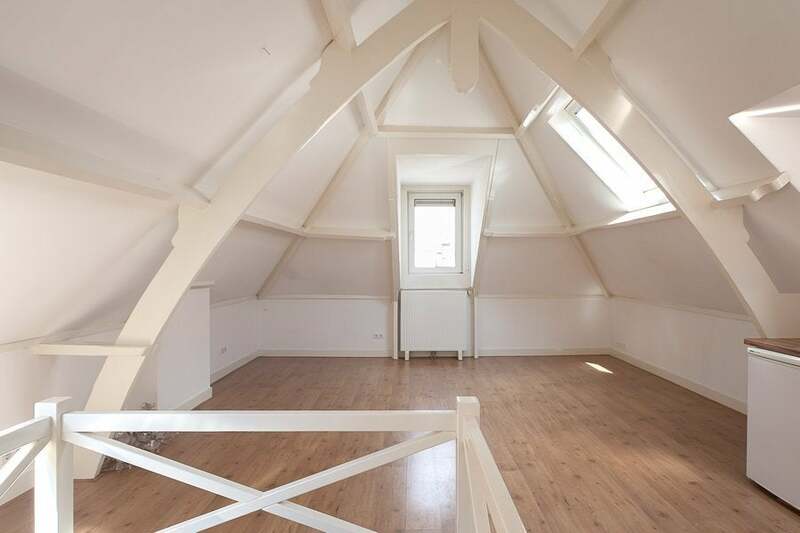 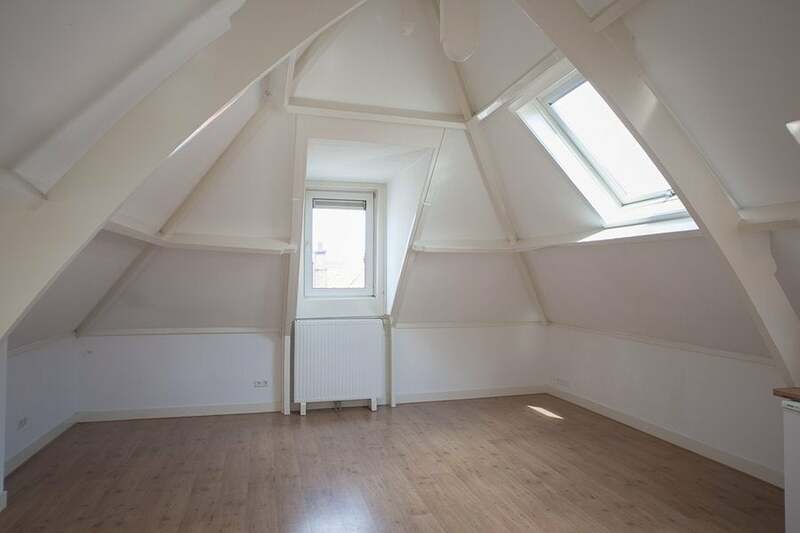 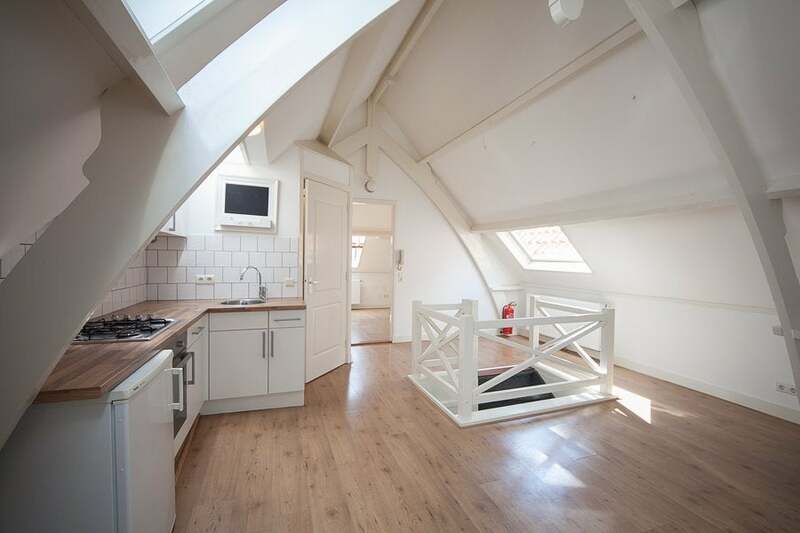 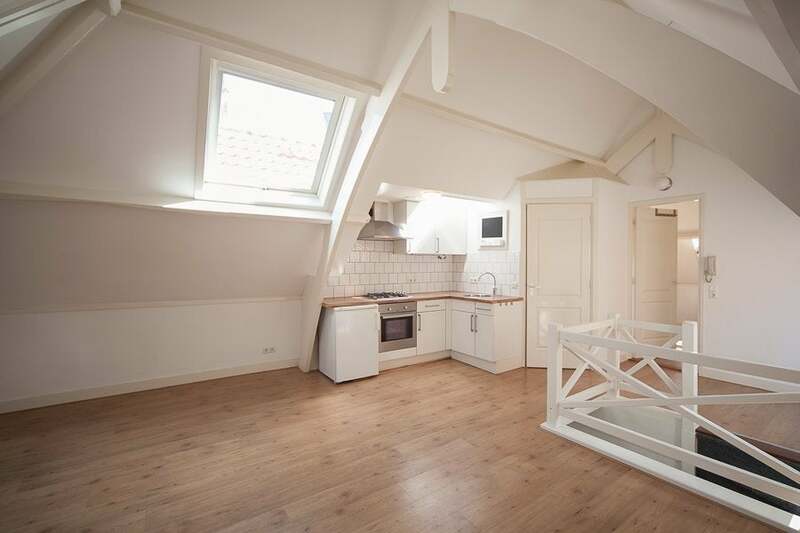 On the top floor located very nice and light 2 room apartment. 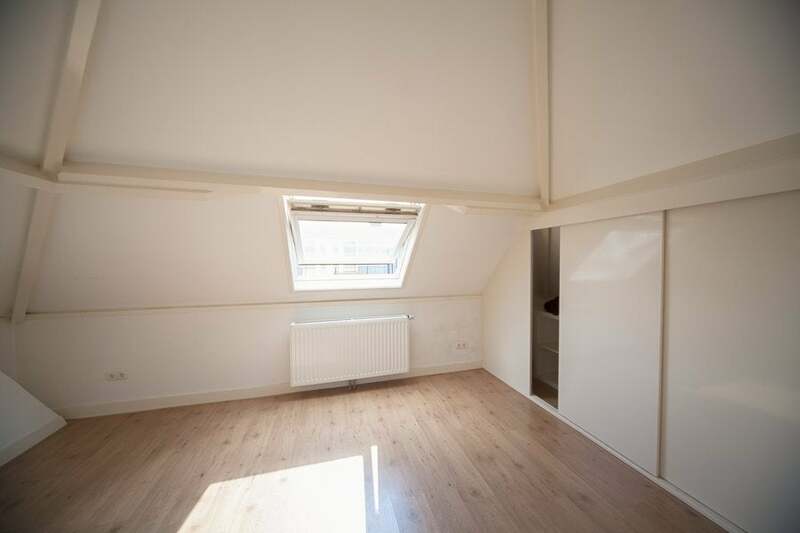 Entrance at streetside, stairs to 2nd floor, entrance apartment, stairs directly in livingroom, spacious and bright living room with cozy open kitchen total 45m2, rear bedroom, 12m2 with nice closet space (big!) 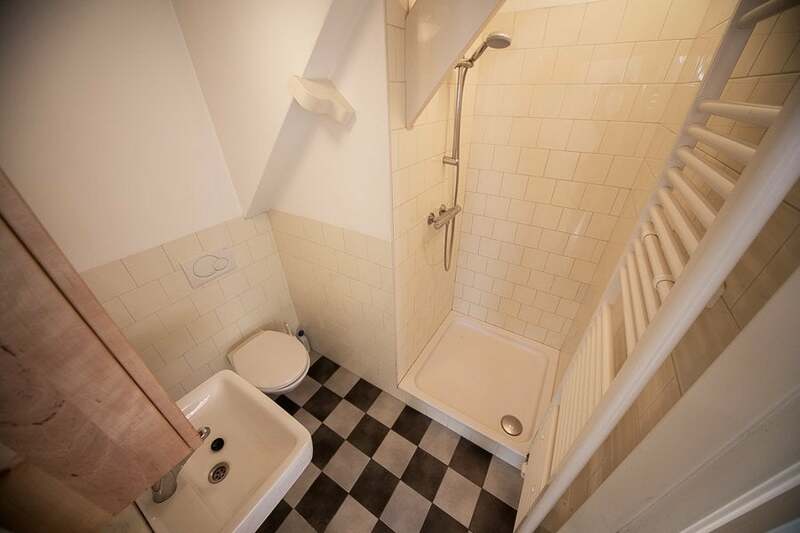 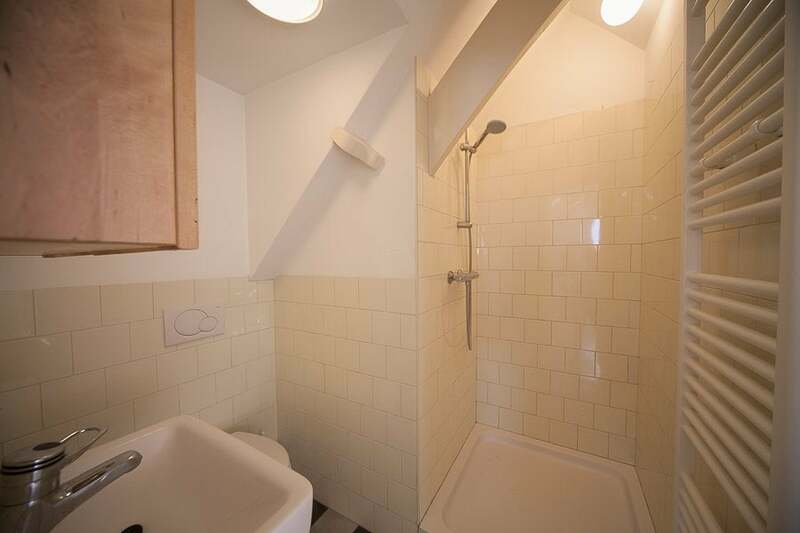 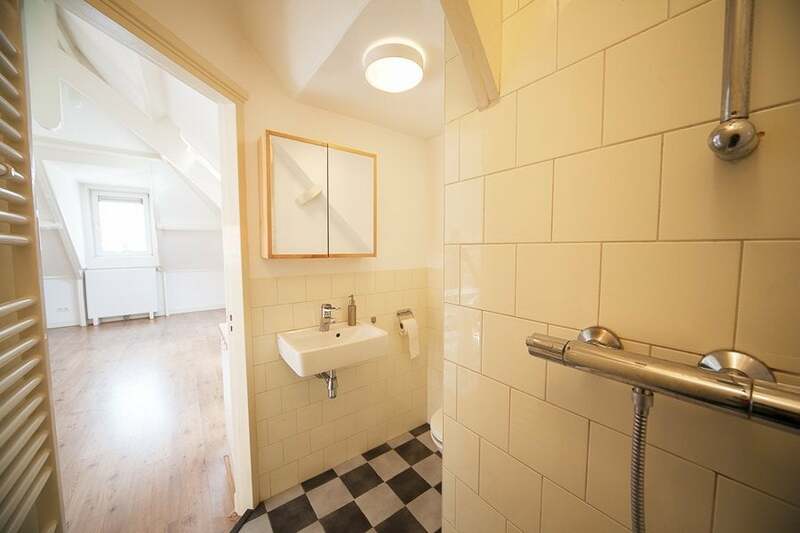 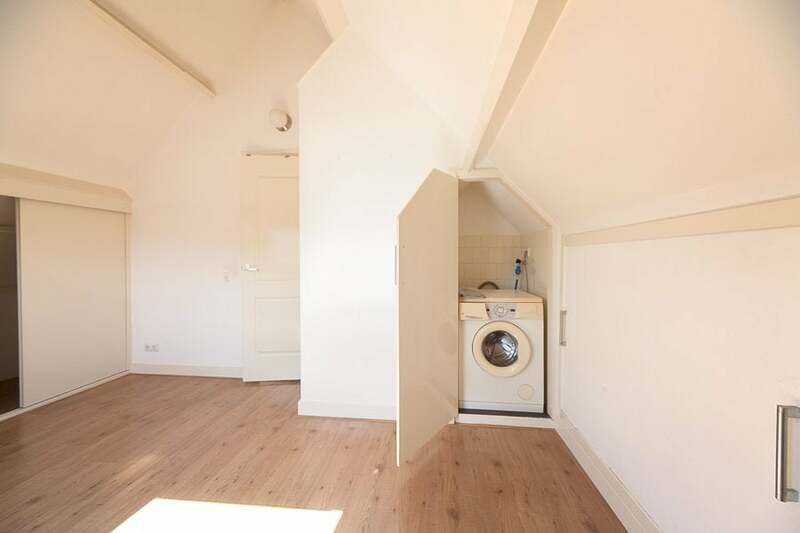 and washing machine connection, bathroom with toilet, sink and shower.